A Research Agenda for New Institutional Economics, edited by Claude Menard and Mary M. Shirley, has been published by Edward Elgar Publishers. This book consists of 30 concise chapters written by top scholars and probes the knowledge frontiers of issues long at the forefront of New Institutional Economics (NIE), including government, contracts and property rights. It examines pressing research questions surrounding norms, culture, and beliefs. It is designed to inform and inspire students and those starting their careers in economics, law and political science. Well-established scholars will also find the book invaluable in updating their understanding of crucial research questions and seeking new areas to explore. Print copies of the book can be ordered here. Until June 30, 2019 you can obtain a substantial discount here. The Introduction and Chapter 1 are free to download here. - after revising, formally to the entire workshop. Ten full-time faculty will provide intensive mentoring. ♦ Hear the faculty discuss their research and strategies to formulate questions, develop analysis, and communicate results effectively. ♦ Network closely with faculty and other young scholars who have an enduring interest in institutional analysis. After the daily sessions, enjoy informal conversations during delicious dinners. There will be a special event and a gala dinner. Upon graduation, become part of a scholarly network with alumni from 76 countries. The pace is intense and rewarding. Participants must attend all sessions and give as well as receive feedback. Social scientists early in their academic/professional careers and advanced graduate students - in economics, political science, law, and other social sciences. Twenty-six participants will be selected competitively on the basis of their research abstracts, CVs, and references. Work already published is not eligible, and previous participants are not eligible to apply again. Abstracts will be evaluated on the clarity and importance of the research question, the analysis, and the institutional focus. Projects with empirically testable implications are preferred. Admissions decisions will be announced in February. There you will need to upload your research abstract (350 words max), 1-page CV, statement of purpose, and the names of two references. Alternatively you can apply via e-mail. See details at the bottom of the online application page. The cost of the workshop – tuition, meals, and housing - is $2500 USD. Many fellowships will be awarded competitively in varying amounts to qualified applicants for whom the workshop costs of tuition, accommodation, meals are a hardship. If you wish to be considered for a fellowship, upload your request for a fellowship with your application. All participants must stay in workshop housing, and all participants are responsible for paying their own travel expenses. The faculty include Robert Aliber (University of Chicago), Ido Baum (Haim Striks School of Law), Alexandra Benham (Ronald Coase Institute), Lee Benham (Ronald Coase Institute), Lukasz Hardt (Faculty of Economic Sciences, University of Warsaw), P.J. Hill (Wheaton College), Philip Keefer (Inter-American Development Bank), Katrina Kosec (International Food Policy Research Institute), John Nye (George Mason University), Dominic Parker (University of Wisconsin - Madison), Maros Servatka (Macquarie Graduate School of Management), Mary Shirley (Ronald Coase Institute), Agnieska Slomka-Golebiowska (Warsaw School of Economics), and Chenggang Xu (Cheung Kong Graduate School of Business). 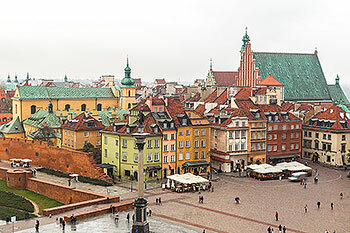 The organizers of this workshop are Mary Shirley (Ronald Coase Institute), Alexandra Benham (Ronald Coase Institute), and Lukasz Hardt (Faculty of Economic Sciences, University of Warsaw). Administrators are Darin Hargis (Ronald Coase Institute) and Anna Lewczuk (Faculty of Economic Sciences, University of Warsaw). Want to learn more about these workshops? Go here to see what to expect, earlier programs and abstracts, alumni comments, and much more. On December 9-15, 2018 in Bratislava, Slovakia, the Ronald Coase Institute held a workshop on institutional analysis. 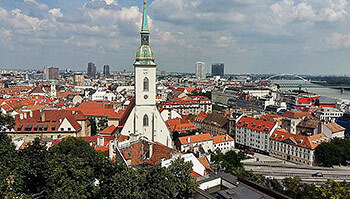 The University of Economics in Bratislava and Virtual Scientific Laboratories were co-sponsors. Workshop faculty included Robert Aliber (University of Chicago), Douglas Allen (Simon Fraser University), Miroslav Beblavy (Member of Parliament, Slovakia, and CEPS, Brussels), Alexandra Benham (Ronald Coase Institute), Lee Benham (Ronald Coase Institute), Martin Kahanec (Central European University, UEBA, and CELSI), Gary Libecap (University of California – Santa Barbara), John Nye (George Mason University), Jana Peliova (University of Economics in Bratislava), Maros Servatka (Macquarie Graduate School of Management), David Skarbek (Brown University), Mary Shirley (Ronald Coase Institute), John Sullivan (George Mason University), and Scott Wallsten (Technology Policy Institute). Details including participants, program, abstracts and more can be accessed by starting here and following further links on the page. A conference reflecting on the impact of Douglass North's work on the discipline of economics was held at the Mercatus Center, George Mason University, March 2-3, 2018, in Arlington, Virginia, USA. It was hosted by Lee Alston, John Nye, and Barry Weingast. There were 5 conference themes: 1) Cliometrics and Measurement; 2) Relative Prices, Property Rights, and Transaction Costs; 3) Institutions; 4) Belief and Cognition; and 5) Violence. Each theme had a keynote lecture and a series of paper presentations. Chenggang Xu, Coase Institute Board and faculty member, has been awarded the first China Economics Prize, jointly with Yingyi Qian (also Coase faculty). This major new prize was created by the Contemporary Economics Foundation in Beijing to recognize Chinese scholars who have made outstanding contributions in the field of economics. The inaugural prize honors Xu’s and Qian’s research on government and enterprise incentive mechanisms for the transition economy of China. The two scholars will also share a monetary award of 2 million yuan. Chenggang Xu is currently at the Cheung Kong Graduate School of Business and Yingyi Qian is at Tsinghua University, both in Beijing. The Elgar Companion to Ronald Coase, edited by Claude Menard and Elodie Bertrand, has recently been published by Elgar Press. The volume includes essays by 31 authors assessing the impact of Ronald Coase's work and the inspiration researchers and policy makers find in his contributions. See details. A special issue of the Journal of Human Capital has been issued in honor of Ronald Coase. The issue is based on a conference held in his honor at the University of Buffalo in May 2012. See this link to the on-line issue. Kenneth Arrow passed away on February 21, 2017 in Stanford, California. We have lost a brilliant economist, a generous member of our board, and a cherished friend. One of the founders of modern economics, he received the Nobel prize in economics – the youngest recipient ever of this prize - for his pioneering contributions to general economic equilibruum theory and welfare theory. His interests were broad and deep. His dissertation Social Choice and Individual Values presented his impossibility theorem: that no system of voting can perfectly reflect the public’s will if three or more alternatives are being considered. Kenneth Arrow served on the board of the Coase Institute from 2005 until his death and participated in many activities of the Institute. He was deeply interested in the progress of young scholars around the world. Elinor Ostrom: An Intellectual Biography by Vlad Tarko has been published by Rowman & LIttlefield International. A Nobel laureate in economics and a leader in new institutional economics and public choice, Elinor Ostrom served on the board and faculty of the Ronald Coase Institute. See details and an overview of the book. See this video about the Ronald Coase Institute. What Can You Expect During a Workshop?